Plans have been lodged for a seven-bed house in multiple occupation (HMO) in Sunderland. Earlier this year, a ‘change of use’ bid was lodged for the former Demi Cafe Bar, off North Bridge Street. If approved, the space will be transformed into flats. The application has been lodged by Tom Heaney Property Solutions, which manages homes in Newcastle, Gateshead and Sunderland. 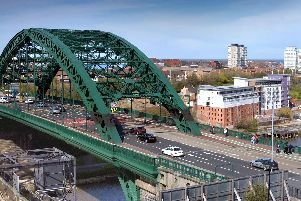 According to documents submitted to Sunderland City Council, the firm offers a 24-hour maintenance reporting system and telephone support for tenants. A noise assessment also concludes that site is “suitable for residential development” around noise and vibration issues. In consultation so far, planners have asked for clarity whether the proposed HMO will be aimed towards young professionals or for social rent. Public comments can be made on the plans until April 10 with a final decision expected by May 13.